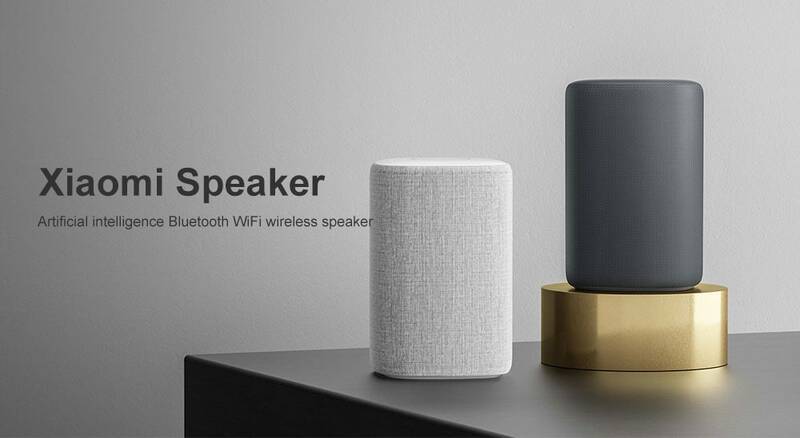 Xiaomi Xiaoai Bluetooth speaker HD is equipped with a high-power full-range speaker array, 104mm large-caliber woofer + dual passive passive radiator, 360° omnidirectional sound, with strong performance and rich musical expression. The speaker unit has been carefully designed into a three-dimensional stereo structure to give you an immersive wrap-around listening experience. And support DSP dynamic compensation and Bluetooth connection, built-in small love classmates powerful, it is an indispensable entrance for high-quality smart home. ● Internal components effective dust protection without affecting the sound transmission effect. ● Four buttons on the top — power button, volume up, volume down, and play/pause button. ● High-power full-range array offers strong performance and rich musical expression. ● Optimized sound field and the 104mm large-caliber woofer have a more accurate transient response. Large caliber woofer, double passive radiator, surging bass shock every nerve. ● Three-dimensional stereo structure, delivers an immersive 360-degree surround sound. ● DSP automatically compensate and adjust the audio according to the volume, dynamically adjust the tri-band loudness for a balanced sound field. ● Uses dual band WiFi and Bluetooth 4.1 technology to support A2DP music playback. ● Ring high sensitivity microphone array that consists of six high-sensitivity microphones, ensures accuracy in voice recognition and quick response to those commands. ● Supports the intelligent voice interaction with XiaoAi smart assistant, controlling the smart devices in the home.